CarGurus has 42,102 nationwide Acadia listings starting at $2,900. 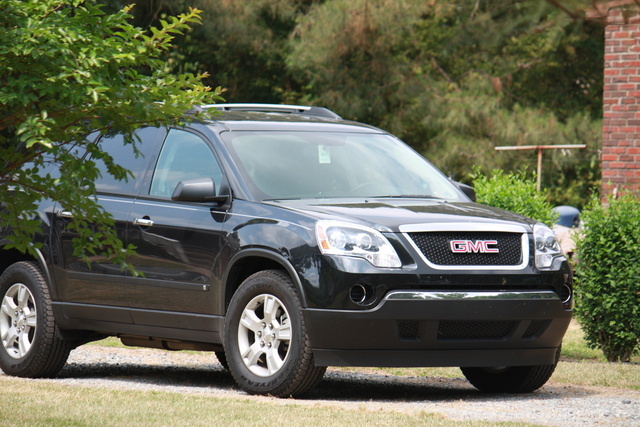 The 2010 GMC Acadia offers a ride that is powerful and quiet - classy, even - and tough to beat. Fans of the 2010 GMC Acadia wish they got a little better gas mileage with their impressive ride. 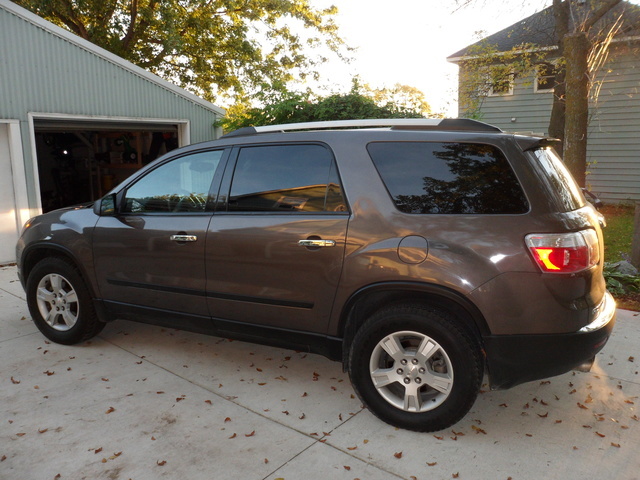 The 2010 GMC Acadia is a bit of a minivan with an attitude. It will get the hockey gear and the soccer team around nicely, and later it will get the parents out on the town – or through the snow to the ski lifts – with style. 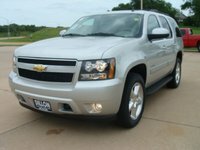 The 2010 GMC Acadia continues to impress onlookers and reviewers, as well as please owners, with its classy look - tough, but not too tough - and its smooth and comfortable ride. Not a lot was changed for 2010, perhaps because there was no need to mess much with a good thing. The Acadia’s a full-blooded crossover SUV, leaning toward the road-friendly side. That is, those who come to the Acadia from the minivan world will find it rugged, but those looking to get off road a fair amount may find it wanting. The Acadia comes in eight trims. Double up the SL, SLE, SLT1, and SLT2 designations, because each is available with front-wheel drive (FWD) or full-time all-wheel drive (AWD). 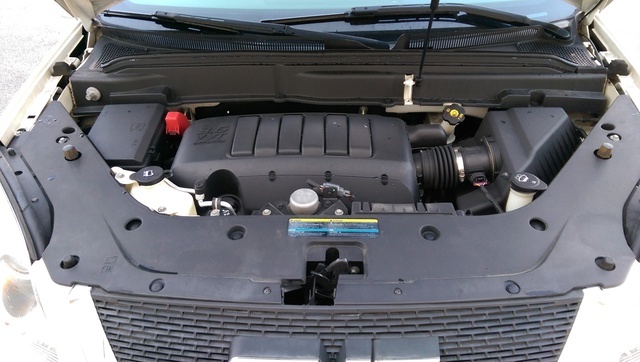 A 3.6-liter V6 powers all versions of the 2010 Acadia and puts out 288 hp and 270 lb-ft of torque. The six-speed automatic transmission has an electronically controlled overdrive. Set up with a trailering package - that’s standard on the SLT 2 - the Acadia is rated to pull 5,200 pounds. The EPA estimates the Acadia will get 17 mpg in the city and 24 highway for FWD trims and 16/23 for AWDs. Ride is one of several areas in which the 2010 Acadia collects exceptional marks. Drivers and passengers alike love its comfortable, car-like ride for trips short and long, and feel the vehicle is well-powered and quiet. It’s praised for its handling in all conditions. That applies to on-road performance primarily, though, since most don’t recommend it as a vehicle for a steady diet of off-roading. The 2010 SL and SLE Acadias come with 18-inch wheels, and GM steps up the wheel offerings from there: The SLT1 is on 19-inchers, and the SLT2 has 20-inch wheels. A raised seating profile for the driver improves visibility forward, but doesn’t necessarily help with the rear view. While reviewers and owners note that the Acadia’s acceleration is good, some add that the six-speed transmission can make for a bit of a jerky ride at times as it searches for, then switches, gears. Reviewers find the interior of the 2010 Acadia as classy and well-designed as the exterior. Many, especially those who prefer chrome to a woody look, praise the materials and the easy-to-see-and-use gauges and controls. The Acadia is roomy for seven, and even eight, passengers and still has a decent amount of space for cargo. The eight-passenger setup is standard in the SL and available in the SLE, SLT1, and SLT2. Seven seats are not available in the SL, but are standard in the other versions. The third-row seat gets high marks for its accessibility, too. A roof-mounted luggage rack with side rails is standard for all trims. Heated seats for the driver and front passenger are standard in the SLT1 and SLT2, but not available in the other trims. A dual sunroof - sliding in the front and fixed in the rear - helps make the Acadia feel even more roomy. The sunroof is not available in the SL and is an option for the other trims. Bluetooth and a rear-seat DVD entertainment system are standard in the SLE and above. The 2010 Acadia grades well in safety tests. It has airbags for frontal and side impact for the driver and front passenger and head curtain airbags in the rear. Four-wheel antilock brakes equip all trims, as does a stability control system with traction control. OnStar is also standard. The ride, handling, and roomy interior are among the first things owners point to when assessing the 2010 GMC Acadia, sometimes after they rave about its looks. It will carry a bunch of people a long way in classy comfort with a minimum of road noise. The crossover is powerful and has nice traction and handles in snow and slush on the road, they say. It’s fine with a light trailer load, but hauling or getting off-road seems to be another story. The Acadia is a little wide and a little long when it comes to parking, but, some owners note, the vehicle’s nice turning radius can help make up for that. Some have found the climate control system - what temperature are you comfortable at, anyway? - a bit difficult to use and inconsistent. The consensus is, too, that it’s difficult to match the Acadia's posted gas mileage estimates. 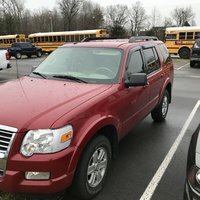 The flip side of that is that many owners say they’ll put up with it: They mention mpg, but aren’t about to give up their classy and comfy rides because the mileage numbers aren’t quite where they’d like them. What's your take on the 2010 GMC Acadia? Have you driven a 2010 GMC Acadia?